Range hoods may seem like appliances that don’t require much thought, but proper kitchen ventilation is far more important than you may realize. Each time you fire up your cook-top, countless pollutants are vaporized into the air that you and your family are breathing. Installing the right range hood for your kitchen will help to reduce cooking smells, greasy deposits and even carbon monoxide. Sizing, power, and instillation types are three important factors to consider. For a breakdown of how to properly select a range hood, our expert tips will guide you through the process (Tips From an Expert). 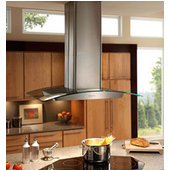 Our customer assistants are extensively trained on the features, types and instillation of range hoods. Please feel free to call, email or chat with one of our professional consultants (Contact Us). Choose from our full line of range hoods from economy, under-cabinet hoods to high-end copper and stainless steel installations from top brands including Air King, Broan and Sirius. 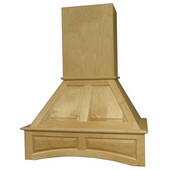 Or, if you’re looking for a custom range hood to match your kitchen, we can advise on custom applications including inserts, facades, wood hoods and more. 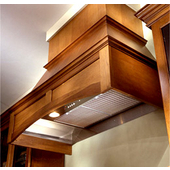 The purpose of a range hood is to reduce heat, steam, smoke and cooking odors and to vent them to the outside. 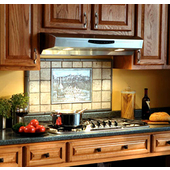 Range Hoods also trap cooking grease that would otherwise end up on your walls, cabinets, and ceiling. When deciding which range hood is right for you, there are some key things you should think about. 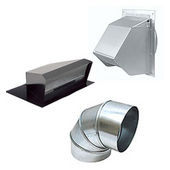 Position, size, power (or cfm), ducting options, and style are some of the most important things you will need to consider. 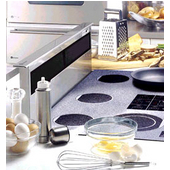 In addition, some range hoods optional features such as variable speed control, lighting, and filter types. 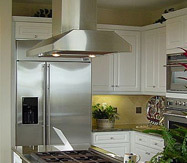 Our range hoods expert at Kitchensource.com is happy to help you in choosing the range hood that is right for you. In addition, we provide detailed specs and installation instructions as well as unbiased product reviews to help you in your selection process. Below is a general overview to help in your selection process. For more complete help, see "Tips from an Expert"
For more help with understanding range hoods, see "Tips from an Expert"
Hand-crafted in the USA for more than 50 years, Imperial Range Hoods provide exceptional craftmanship and value. 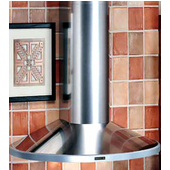 Choose from the popular Brushed Stainless Steel or one of over 60 Powder Coated colors. 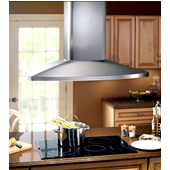 Imperial Kitchen Ventilation proudly stands behind its range hoods with a Best in Industry 7-yr. Warranty. 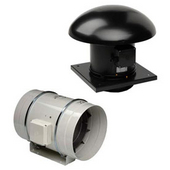 Imperial Hoods are easy to install, ship quickly, and have a full assortment of CFM options and price points to suit every home owners needs. Whether you are venting an kitchen island, need the perfect hood for under cabinets or a liner insert for a custom-made hood, the options are boundless with Imperial.